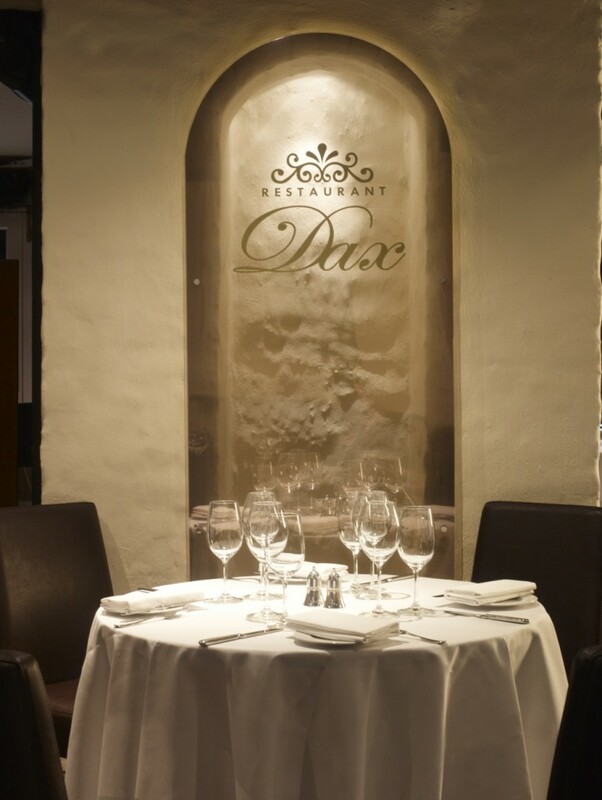 Welcome to Dax Restaurant, one of the best fine dining restaurants in Dublin city centre offering modern Irish-French cuisine for lunch and dinner Tuesday to Saturday. Our intimate Georgian basement dining room retains many period features. The unique layout with open fire, hard-wood ceilings, fine table linens, modern art, luxury carpeted floors and rough rendered walls lends the feel of a wealthy, rustic country manor house in rural France. Head Chef Graham Neville’s celebrated and award winning cooking focuses on the very freshest seasonal Irish produce. The cuisine is supplemented by an excellent and well-considered wine list drawing vintages from both classic Châteaux and other continental and new world regions. Awarded Restaurant of the Year for 2018 by Georgina Campell’s prestigious Ireland Guide and Best Restaurant in Dublin in the 2014 Irish Restaurant Awards and nominated as Best Restaurant in Dublin and Ireland for the past three years in Food & Wine Magazine Restaurant of the Year Awards, the National Hospitality Awards and Irish Restaurant Awards, Dax is lauded by food writers and critics as well as its many fans. 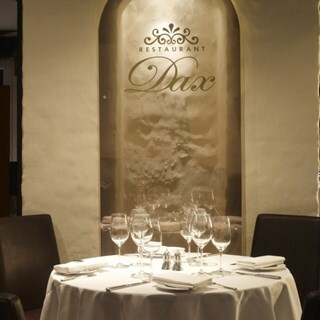 Dax Restaurant is located in the Historic Georgian heart of Dublin city close to Fitzwilliam Square and the National Concert Hall (NCH). Our dedication to professional service and great hospitality has made us one of the top restaurants for fine dining in Dublin city. Lunch is served from 12.30pm with last orders at 2pm. Here at Dax we understand that many of you are under time constraints, so we guarantee fast service without compromising the quality of the food. Dinner is served Tuesday to Thursday from 6pm with last orders at 9.30pm and Friday & Saturday from 6pm with last orders at 10pm. We offer Table d’Hôte and A La Carte Menus and guarantee to use only the freshest of seasonal produce, ensuring a healthy fine dining experience. Wonderful food, excellent service from professional friendly staff. We thoroughly enjoyed our evening in Dax.